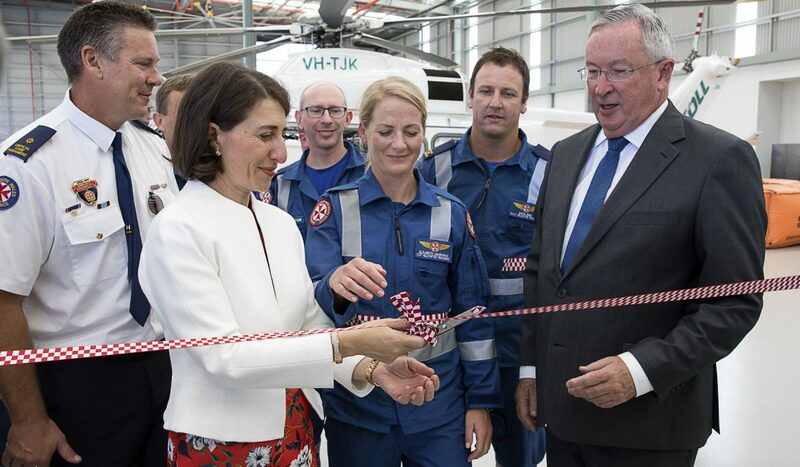 NSW Premier Gladys Berejiklian and NSW Minister for Health Brad Hazzard has officially opened the new world-standard Bankstown NSW Ambulance & Toll Rescue Helicopter Base, marking a significant milestone for the Helicopter Retrieval Network. Joined by Toll Global Logistics President Chris Pearce, Toll aircrew, NSW Ambulance Chief Executive Dominic Morgan, local NSW Ambulance helicopter doctors and critical care paramedics, Ms Berejiklian and Mr Hazzard toured the Bankstown base. Patient rescue, retrieval and treatment services have been operating from the new NSW Ambulance & Toll Rescue Helicopter Base in Sydney and over 1200 missions have been completed from Bansktown in the past 12 months. 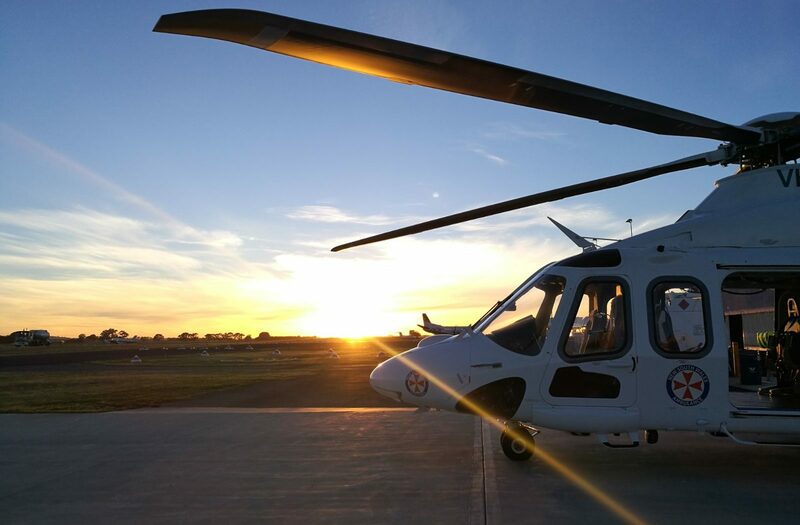 It houses three AW139 aircrafts online 24/7/365 and a state of the art maintenance facility that ensures the entire fleet is ready to respond to any mission across the state of NSW. The NSW Ambulance & Toll Rescue Helicopter fleet is made up of eight new purpose-built best in class Agusta Westland 139 (AW139) helicopters, which deliver the latest in performance, safety and innovation – assisting NSW Ambulance helicopter doctors and paramedics to reach patients in remote areas, further and faster than ever before. This contact forms part of the NSW Government’s new state-wide Helicopter Retrieval Network. Under the NSW Government’s Reform Plan for Aeromedical (Rotary Wing) Retrieval Services in NSW, the state has been divided into two distinct aeromedical retrieval zones – the Northern Zone and Southern Zone. Mark Delany, General Manager Toll Helicopters, said ‘Following a rigorous, competitive and exemplary procurement process, NSW Health awarded Toll the 10 year contract to deliver mission critical services to the Sydney area and southern NSW region including ACT. 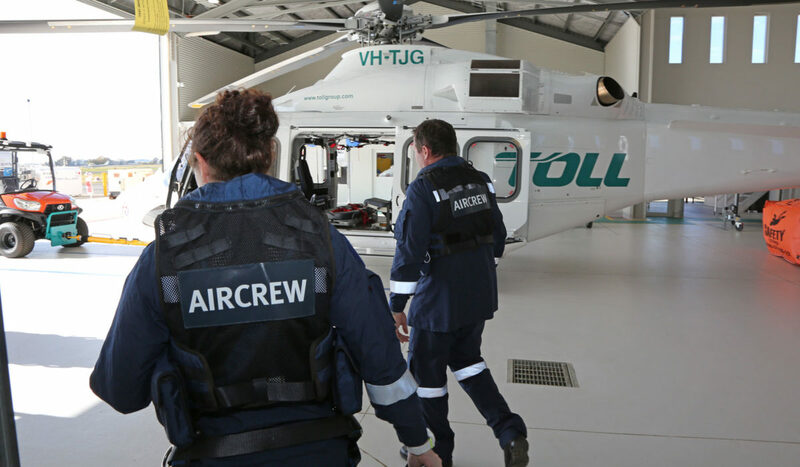 Twelve months on and more than 2000 aeromedical missions completed across all Southern Zone bases, the partnership between Toll and NSW Ambulance is delivering the world-class aeromedical service and safety standards required. The Bankstown Base also includes the ACE Training Centre, a world class training facility with highly realistic mission simulation technology for all air and medical crew. The purposebuilt centre includes specialist medical training rooms and helicopter simulation technology such as the Helicopter Underwater Emergency Training (HUET) theatre, a virtual realitytraining system and full flight AW139 simulator, the only Original Equipment Manufacturer (OEM) sim in Australia.